We welcome experienced and first time kayakers alike on this unique paddle. 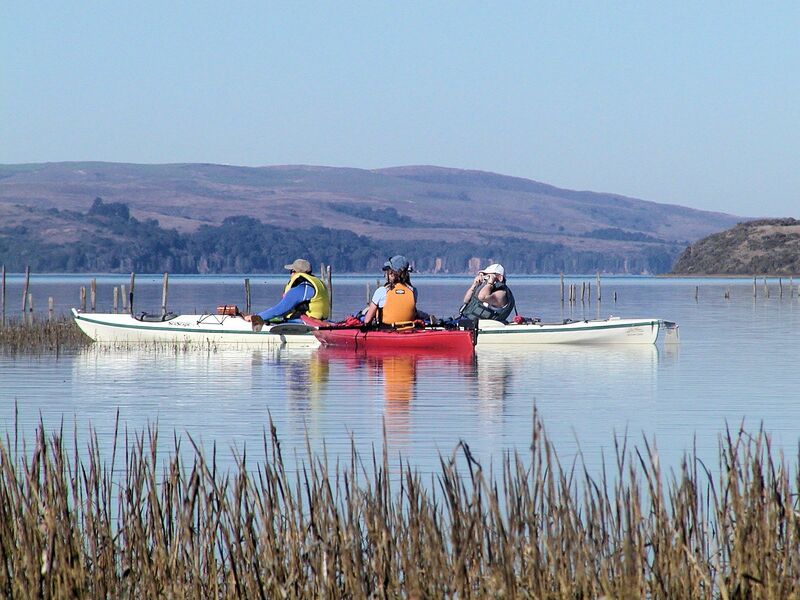 In celebration of the Giacomini Wetland Restoration Project, Blue Waters offers a tour through the beautiful wetlands at the south end of Tomales Bay. Your day will include a stop on the beach with a short hike that will provide you with dramatic views of the wetlands & Tomales Bay. This open space’s character is changing daily. Non-native grasses wither away under the onslaught of saltwater, while pickleweed and marsh plants take over. Ducks (sometimes thousands) dot newly created tidal ponds. Bald eagles and marsh hawks soar over egrets and herons wading in slow motion. A BIT OF HISTORY: The Giacomini Ranch was established over 50 years ago at the head of Tomales Bay near downtown Point Reyes Station. In order to create pastureland from existing salt marsh, Rancher Waldo Giacomini built levees and tide gates to manage tidal incursion. The levees significantly altered the patterns of estuarine circulation and sediment deposition in the area. In 2000 the Point Reyes National Seashore purchased 563 acres of the Giacomini farmland in order to begin the long, delicate process of restoring the wetlands. The project took eight and a half years to finish. The levees have now been removed, adding approximately 4% to existing California salt marshes. The Giacomini Wetlands can be viewed from strategically placed, yet somewhat limited trails and viewing areas, or (even better) from a kayak at high tide, gliding through areas where the human foot is now forbidden but non-motorized boats are not. Itinerary: We will meet at White House Pool, located a mile west of Point Reyes Station where you will be welcomed by a guide. 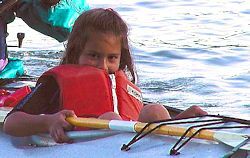 After a welcome circle, gear up, and a quick boat/paddle lesson, we will launch our boats and head north towards Tomales Bay. Once we enter the main channel, we will usually veer to the east, enter the wetlands and tour the flooded project area. (Based on water levels) Paddling through channels, shallows, and tidal marsh, we will explore as much of the wetlands as possible. We will stop along the way to enjoy a short hike with dramatic views. This tour gives us a great chance to share the restoration project and the history of the Giacomini Ranch. We complete this day back where you left your car at White House Pool. Release Form: Please print out, read, sign, and BRING the release of liability and assumption of risk form with you on our trip. 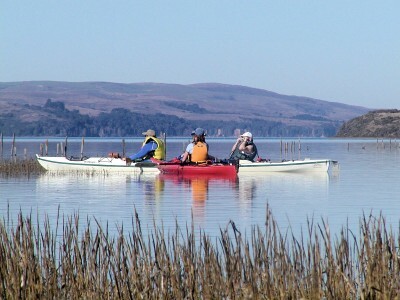 We are committed to protecting Tomales Bay and its shores. 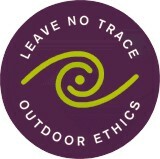 We invite you to adopt the seven principles of the Leave No Trace program during your stay on the Bay to protect our environment, each other and to ensure a great time for all.